new tourdates for Germany, and the U.K. Looking forward seeing you at the next gig ! Highfields is an area of Leicester UK Which I was brought up in the 50s and 60s. London where I went saw and learnt about playing and got to see and hear some great folk blues music from the 60s from Uk artists to American artists which was very inspirin. With songs on the Cd which I hope reflect that period from then 60s to now, and writing and playing with my good friend Alan Sansome to bring the songs of life, loss, longing and love. 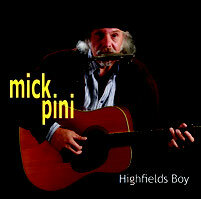 Nick Murphy to this day calls me Highfields boy, I guess Iam. There are so many wonderful guitarists out there but there is one man of whom I never tire and who I know would slot perfectly into this dream band. 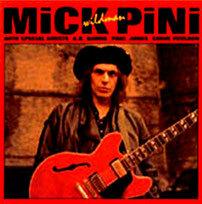 Mick Pini. A veteran on the blues circuit. Mick now lives in Germany but he is very much the real deal and a fascinating character as well as one hell of a guitar player. 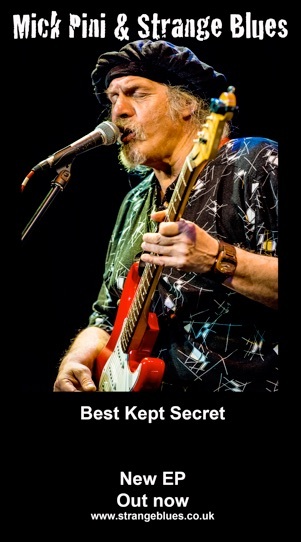 As Peter Green is said to have said, it is the notes that he does not play that makes him . Here is the CD "Happy with the Blues " that we recorded in Germany in the summer 2015, modern blues, where we use in most of the songs acoustic guitars. support in the making of these projects and members of my band. Fore more information go to media or to Stormy Monday Records. Jumping Blues CD out now. 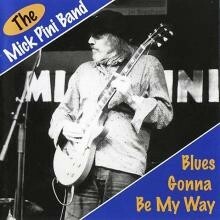 Uwe Jesdinsky bass player and long time mate of Mick has produced his first Blues Album featuring Mick on vocals and guitar. 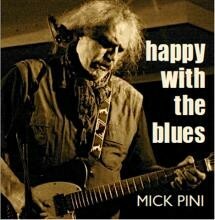 Jumping Blues is available at Stormy Monday Records or ebay.